Vancouverites are famous for their skill with languages – but there’s also a huge variety of whiskies, and places to drink them, in Canada’s third largest city. 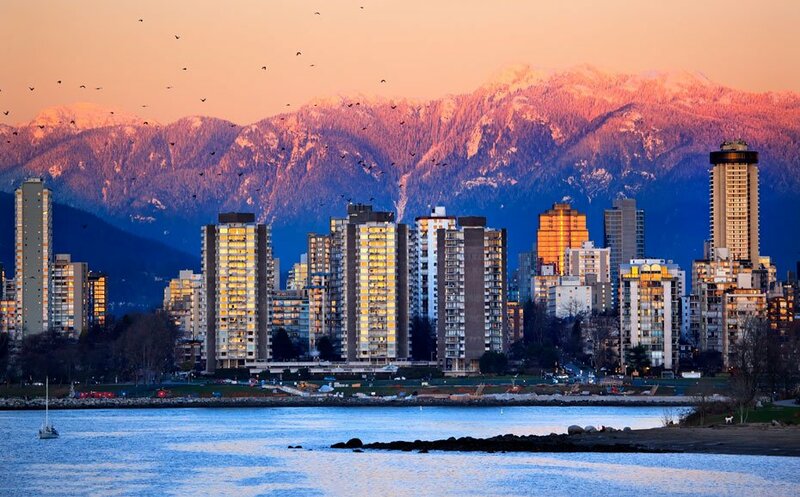 Join us on our liquid tour of Vancouver, BC. Vancouver is famous for seafood, scenery and the linguistic skills of its residents, but here at World Whisky Day, we’re more interested in finding the best places to sample some Canadian whisky. We asked Talia Kleinplatz of cocktail blog Two For The Bar to help us get to grips with the whisky scene in Canada’s third largest city. As always, we’ve mapped the locations Talia suggests. Where are the best places to have a whisky in Vancouver? 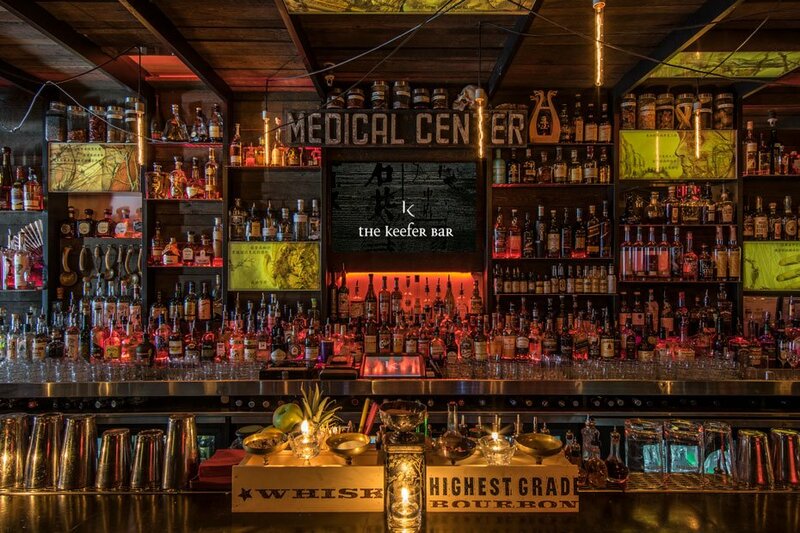 There’s no shortage of bars in Vancouver with a solid selection of whisky but if you want the most comprehensive collection, I’d head to Fets Whisky Kitchen, which carries almost 800 bottles and includes representation from over 100 Scottish distilleries. It’s also worth hitting up Shebeen Whiskey House, as their selection is quite extensive as well. I’m a huge sucker for an Old Fashioned and my current favourite is made at Grapes and Soda – a small joint in South Granville serving up an ever-changing selection of sharing plates with a focus on local ingredients (they also happen to serve the best olives in town). Patience is key as head barman Satoshi really takes the time to build the drink properly but trust me when I say it’s worth the wait. 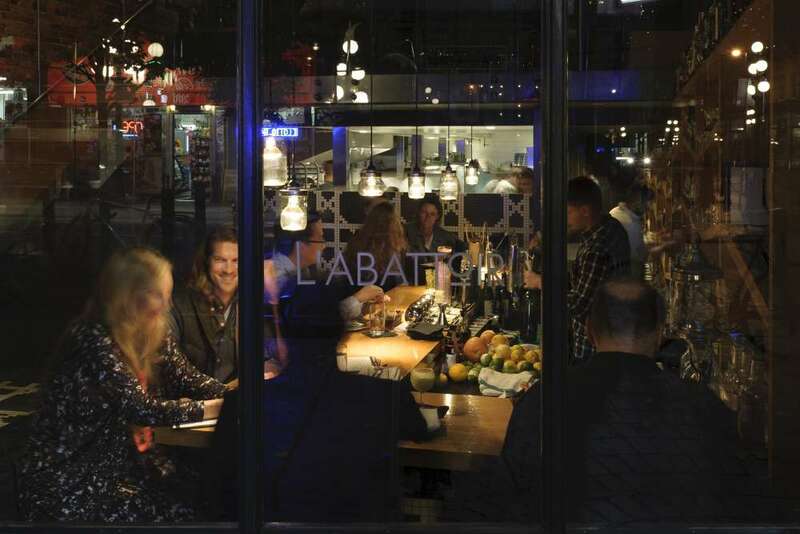 L’Abattoir for locally inspired fare with a French twist. Their cocktail programme is outstanding and has been a favourite for local cocktail enthusiasts for years. They usually have some iteration of Steak Diane on the menu, which I cannot recommend enough. Consider ending the night with a Bow St. and Back Again, which is a stunning combination of Jameson, sweet vermouth, amaro and coffee bitters. How about distilleries in Vancouver? If you’re looking for locally distilled whisky, I’d go with Odd Society Spirits. 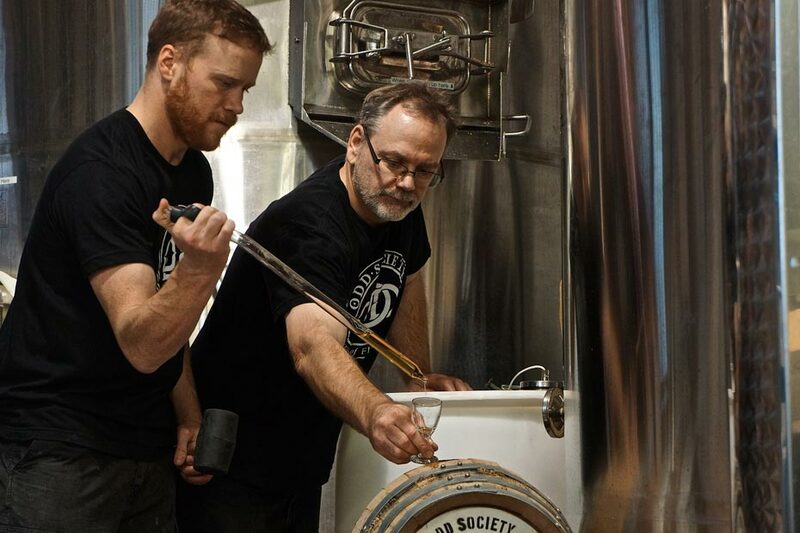 In addition to their selection of locally crafted products (including vermouth, gin and white dog), the company just released their first batch of Single Malt Whisky this past December. The 120 bottles that were available sold out in the first 10 minutes. The much sought after spirit is made using 100% British Columbia-grown malted barley. It was aged in oak barrels for three years. When it comes to whisky selection, Legacy Liquor Store is the place to be. Not only does it have an impressive collection of whiskies from around the world; the shop is also an exclusive retailer for the Scotch Malt Whisky Society. In addition to their retail services, the store also offers regular education opportunities to the public from whisky tastings to master classes on the history and production of bourbon. One of my favourite spots in the city is Prohibition in the basement of the Rosewood Hotel Georgia. It has a lovely, old-world feel with a beautifully curated cocktail selection and whisky list. And if you’ve only for 24 hours in the city? Only 24 hours? Ok then. I’m going to use the Hobbit meal schedule to make sure we can fit it all in. For breakfast head on over to Medina from a Mediterranean-inspired meal. Follow this up with coffee at Matchstick or Revolver. For second breakfast, head out for some amazing dim sum (Chef Tony in Richmond or Dynasty or Kirin in Vancouver). And because I’m going to assume you’re rather full at this point, we’ll tone it down for Elevenses with a London Fog and a peanut butter cookie at Beaucoup Bakery. Lunch should be spent enjoying a bowl of ramen at one of our many local ramen shops (I’d go Kintaro, Marutama, or Motomachi Shokudo). Instead of afternoon tea, I’d suggest an afternoon cocktail at The Lobby Lounge at The Fairmount Pacific Rim and then a pre-dinner sipper at UVA Wine and Cocktail Bar. For supper head on over to Bao Bei Chinese Brasserie or Kissa Tanto for some Italian-Japanese cuisine. And dinner should include either Korean Fried Chicken from Damso or the infamous Dirty Burger at Upstairs at Campagnolo. Finish the evening with a nightcap at Keefer Bar. Cheers!